24 hours a day music of mechanical musical instruments! 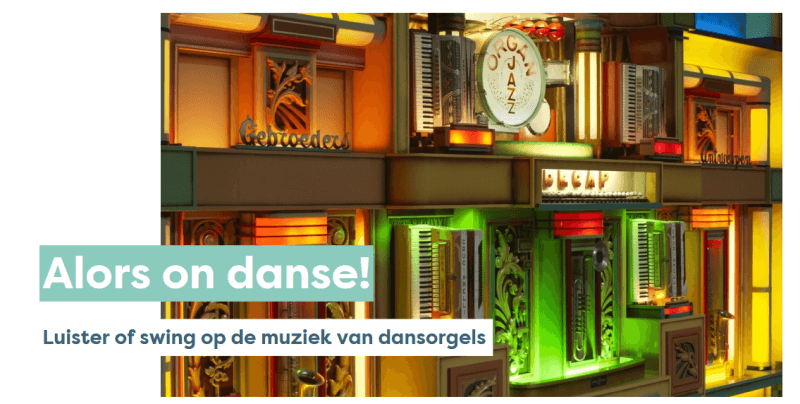 Take your agenda and mark the following event: from 10 till 19 August 2018 there will be open days again at the premises of Decap Herentals with various artists and innovations, presented in the organ building. The circus of the Ronaldo family will be present again! More information about this happening will be available in springtime. No account yet? Send an e-mail to webmaster@mechamusica.be with your full name and we'll send you your account details as soon as possible!